Among all of the financial and governmental concerns front and center this past year, the building service industry remains hopeful. But, even with the hope of a profitable business going into the new year, it is likely small business owners will face a few common challenges in 2019 if they don’t ready themselves now. Landport is highlighting three challenges contract cleaning and maintenance companies could face in the coming year. Is it possible for small, local businesses to compete against the big brand named professionals and their deep marketing budgets? Yes! It’s not always easy, and usually never quickly realized, but it can be done with a little more work and creativity. There’s enough business to go around. The key for independent contractors and small business operation managers in the cleaning and maintenance industry to remember is the need define your key client and then create a plan to help you focus on. This strategy will make the business brand more visible online and off to the right clientele. 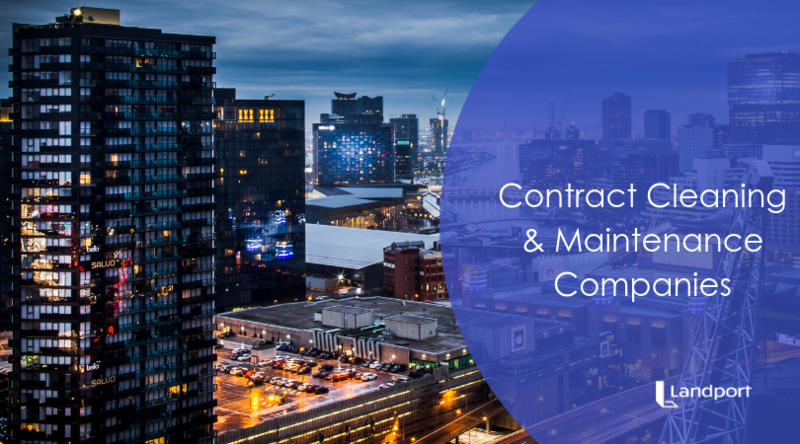 At the end of the day, maintenance solutions contractors can care for and maintain properties across a variety of industry, from healthcare facilities to retail facilities, muncipal facilities to educational facilities, places of worship to amusement parks, office buildings to apartment buildings, and everything in between. So, pick your sweet spot and your geographic parameters and start there. Everything else will filter in gradually and naturally over time. You’ve heard it before, you need to have a website to reinforce your authenticity as a business. It doesn’t have to be an enormous sitemapped framework or have a ton of visual bells and whistles, but it should clearly state who you are, what you provide, and where you provide those services. In addition to other marketing efforts, it’s important you take care of your business information in other registry-like sites and search engine business profiles. But, this can be easier said than done if you don’t know where to start or what to focus on first. Recent changes to search engine algorithms in Google and Bing have altered the playing field once more for small businesses, and independent contract cleaning and maintenance companies need to pay attention to what these changes mean for their online visibility. Many small business brand managers agree, localization and consumer citations and reviews on your business listing is another top strategy when fighting for visiblity for contract cleaning and maintenance companies in today’s market. This strategy is a prime focus on brand integrity but also provides overall steps toward brand awareness through relevancy. Relevancy remains to be a strong signal for search engines, but numerous algorithm changes this past fall (dubbed the Medic Updates) has had a significant effect on a number of businesses; large and small. But, despite the up and down; bunny hop in reported search results pages and site traffic, ensuring your Google MyBusiness® listings is complete, correct, optimized and updated routinely is still one of the best ways to keep your business visibile under the right circumstances. At the end of the day, contractors need to stay on top of these changes in an effort to effectively adjust their marketing strategies online to stay competitive. 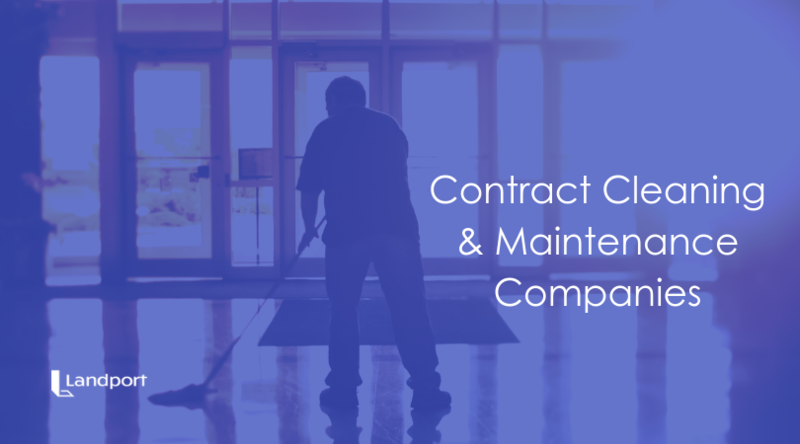 With growing concerns about administrative and operating costs, more and more large facility owners and tennants are looking to smaller, independent contract cleaning and maintenance companies for competitive rates and solutions to help reduce this portion of their budgets. Althought this sounds like a good thing for small business service providers it also creates a challenge for them to manage client expecations for service because these same large companies and building owners may have been used to having staff on hand and will be looking for the same streamlined feeling of service. Having a strong maintenance work order management software and system in place for field staff and contractors is vital to accommodate this expected client need, and being able to demonstrate this system and provide timely communications for the client during a work order project will go a long way in a competitive proposal for contract work against other prospective hires. 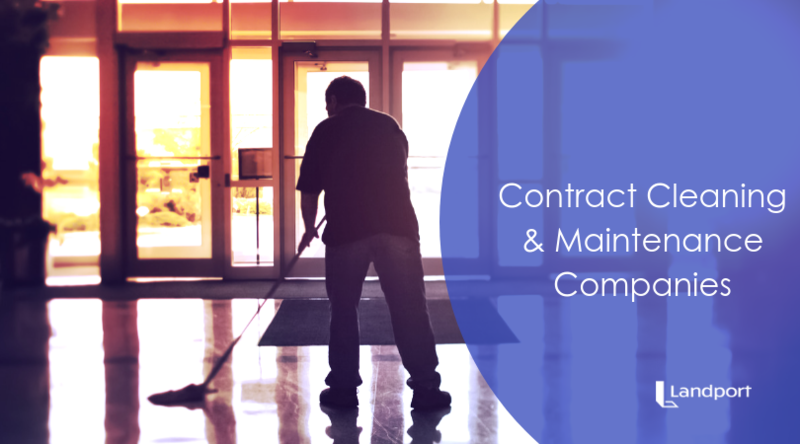 Landport Systems Specializes in Work Order Management Software Solutions; perfect for contract cleaning and maintenance companies who provide independent service solutions to other property and facility managers. Although no one can predict the future, we do have the ability to control our own actions in the face of change. Contact Landport for FREE DEMO of our Work Order Management Software today.